Welcome To Airport Shuttle of St. Augustine, Inc.
Airport Shuttle of St. Augustine, Inc. provides ground transportation serving the St. Augustine and surrounding areas from or to your doorstep or Shuttle stop. We service surrounding Airports, Cruise lines, Amtrak and many other travel needs. Our entire staff brings years of experience for a quality service. Our company is a preferred service with many Hotels, Bed & Breakfasts and Businesses. We are Chamber of Commerce members and are commercially licensed and insured. 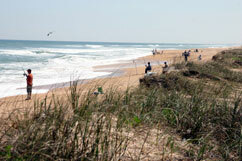 Airport Shuttle of St. Augustine, Inc. has decided to pioneer the industry by “Going Green”! We feel with the nature of this business, we should take responsibility by lessening our contribution to the “Global Warming” issue we face on Mother Earth! We are transitioning to hybrid and alternative fuel Vans, SUV's and Cars. There are now large, roomy alternative vehicles available that serve this industry! Airport Shuttle of St. Augustine, Inc. offers Door to Door service between 4:00am to Midnight daily from or to surrounding Airports, Cruise Lines, Amtrak, Greyhound and more, by prearranged reservation. We also offer Shuttle service between 7:00am and 7:00pm. Meet us at one of our convenient locations listed on the Services page, by prearranged reservation. Call in to prearrange your reservation for the discounted shuttle. Our fleet of Late Model Vans seat up to 14 passengers. All vehicles are non-smoking, clean and regularly serviced. Vehicles require regular city and state inspections and are commercially insured. Airport Shuttle of St. Augustine, Inc. is Certified with the Jacksonville Airport Authority and other airports. All of our staff are subjected to thorough background checks and driver license screenings. They are experienced and courteous. Airport Shuttle provides a professional, top notch taxi/car service. Book your reservation on the Reservations page, or call our customer service representatives. We ask that you book 48 hours in advance on line, or 24 hours in advance by phone. We accept all major credit cards and cash. We require a credit card to guarantee your reservation at time of booking, along with billing information and flight details. 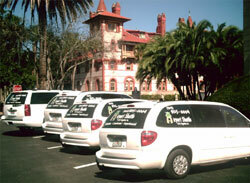 Airport Shuttle of St. Augustine, Inc. is owned and operated in St. Augustine, Florida. 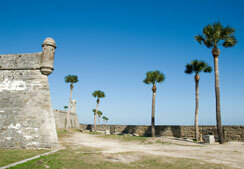 The owners are life long residents of St. Augustine!